Here's another little gadget I got at CES. 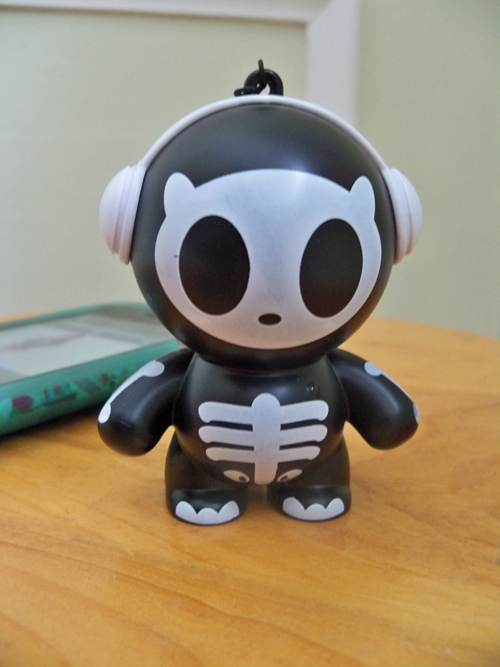 It is a wee speaker called Skully made by Headphonies. 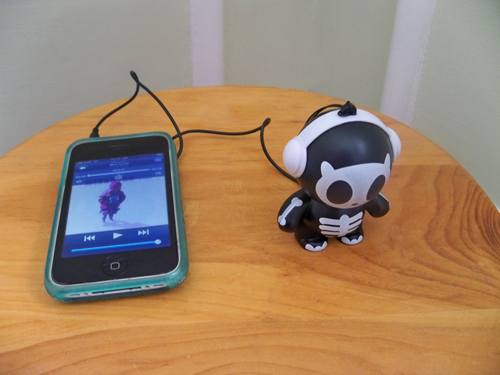 I can hook Skully up to my iPhone or iPod and play music through him. Very handy... and cute. My sister has this! I think it's so cute.